We hope this HalleluYah Scriptures (HS) Newsletter finds you each well and baruk of the Father. Please join us in praising and thanking the Father for His Mighty Hand and Heart for His children, because much has happened with the HalleluYah Scriptures project over the past year and we are eager to share it with you! 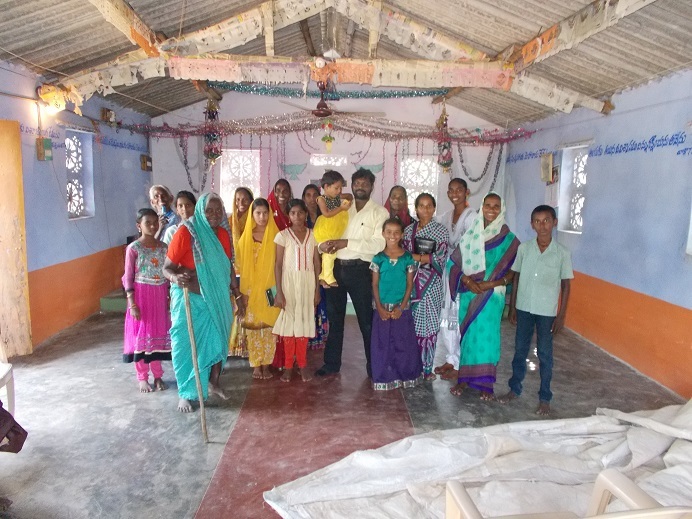 We thank each of you, our supporters, helpers and team members for all of your continued support through the donation of your time, prayer, fasting, finances, gifts, talents and resources, without which none of the following could be possible. HalleluYah for such faithfulness to this mighty endeavor! In this newsletter, we are sharing current information and updates about South Africa, HS new editions, Spanish translation, audio dramatization, special videos and a glimpse at where the HalleluYah Scriptures are going! 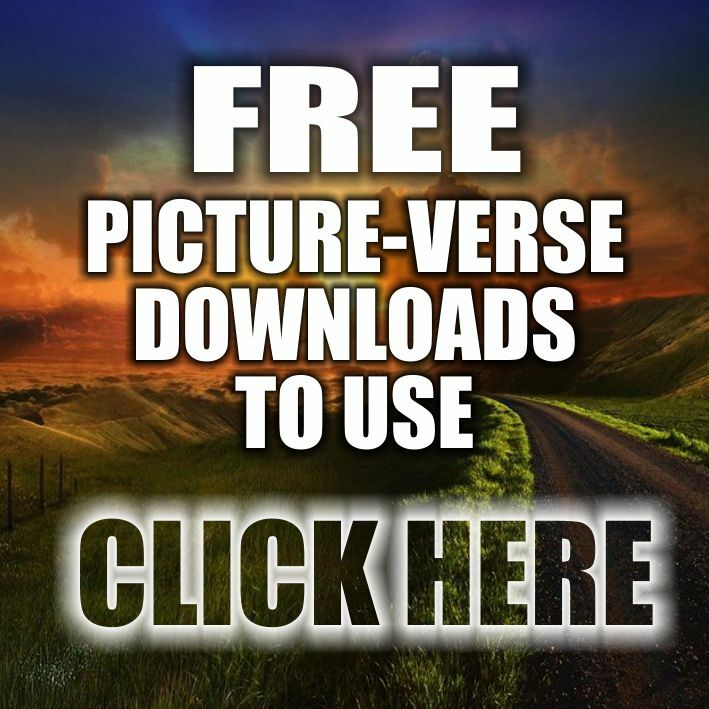 Take a peek below at the many wonders HalleluYah Scriptures is up to, HalleluYah! When we received this letter from a group in South Africa it broke our hearts and made us weep as these words is what the HS project is all about. 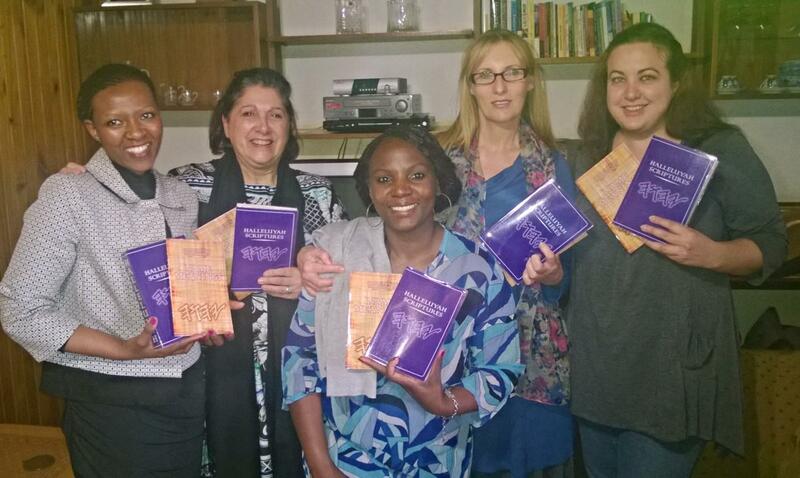 We have been praying and fasting for many months now to get the HalleluYah Scriptures into South Africa. Many have joined us in this urgent prayer. Well HalleluYah, those prayers have been answered and the Father has heard the cries of His people. Below is a part of an email from South Africa from an Elder and his wife. 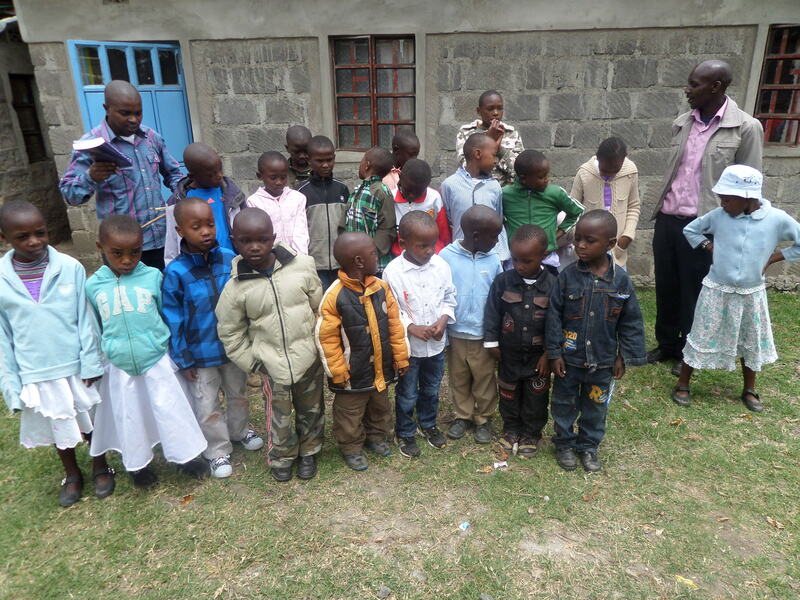 They have been believers for quite a while and outreach to so many in Africa. They have a big heart for sharing His truth. This note made us weep. This is what we face daily from many brothers and sisters around the world and many simply do not understand this. This is heartbreaking and a heavy burden sometimes that we have to carry. We do not have unlimited stock and donations to help the whole world and so, we have to pray about each situation. 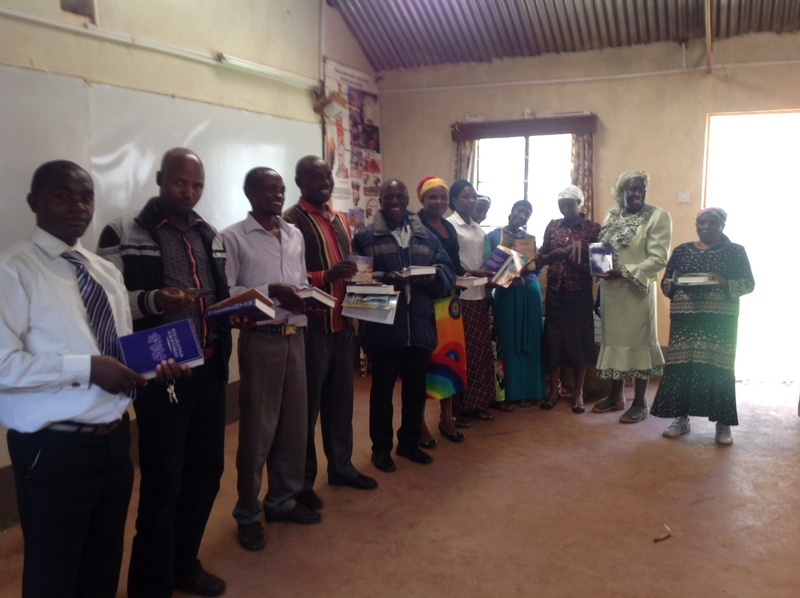 These people have 3 Restored Named Scriptures to share with a large group, which is probably already more than most have in Africa because a lot of people there just cannot afford to have one. Here is their message (please bear in mind we have a large list of many people in South Africa that have been waiting years for His Word and are in such desperate need). Good news we are now arranging a very large shipment into South Africa and His people will soon have His Word as He is an amazing Provider. HalleluYah!!! This is another email we received from the fellowship in South Africa. 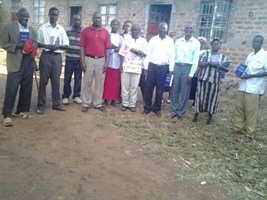 Meanwhile, a second shipment has just arrived in Kenya and the group in Kenya went on a trip to a number of villages to meet with believers who love His Name. 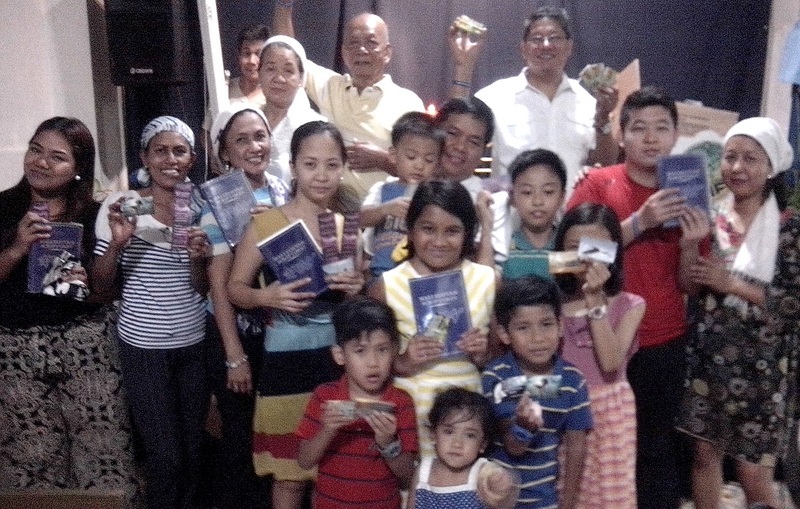 They were able to take the HalleluYah Scriptures for the first time and these believers were so excited to receive this precious gift that they will treasure for life. 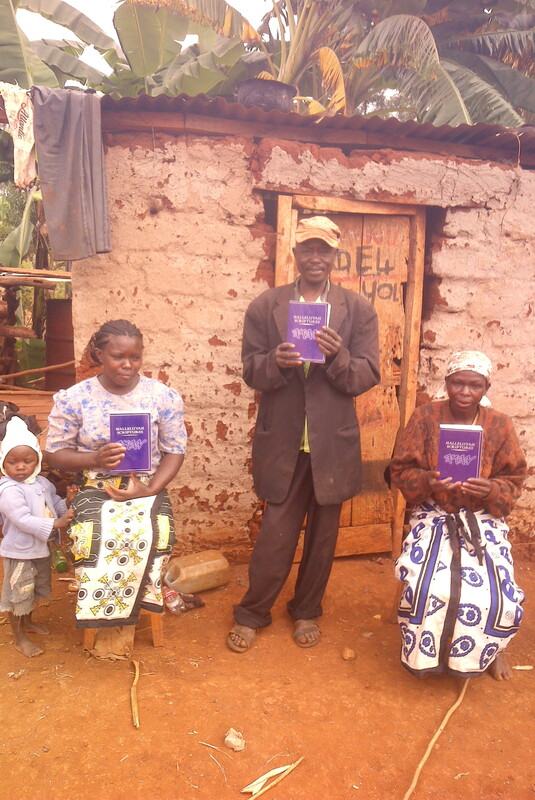 There is now 4 different groups in Kenya who are reaching out to fellow believers in their countries and to other parts of Africa. 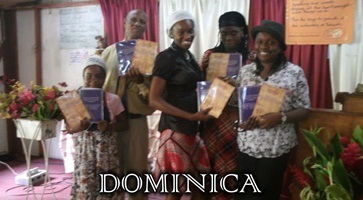 All those in the 3rd world countries receive the HalleluYah Scriptures freely. 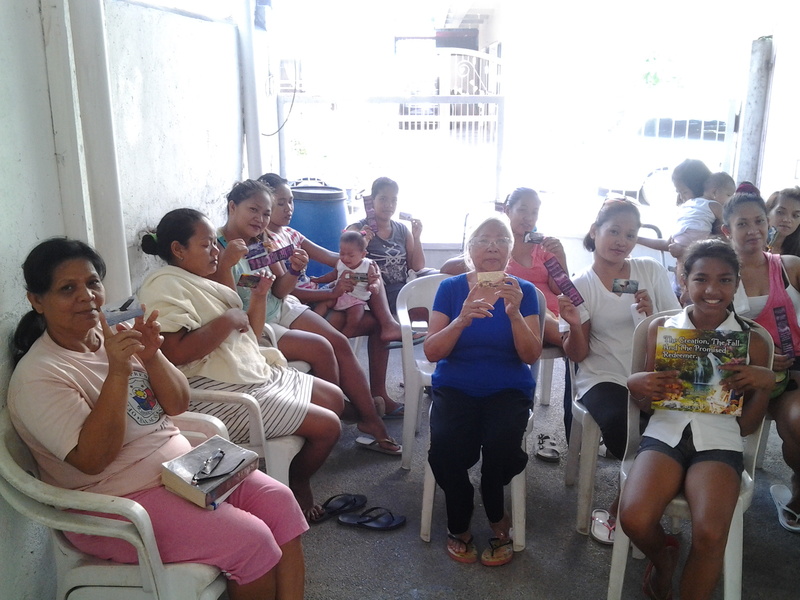 See the joy on the faces of those who receive this gift and we know first hand that they praise the Father for this gift and for the person who donated so that they can receive. 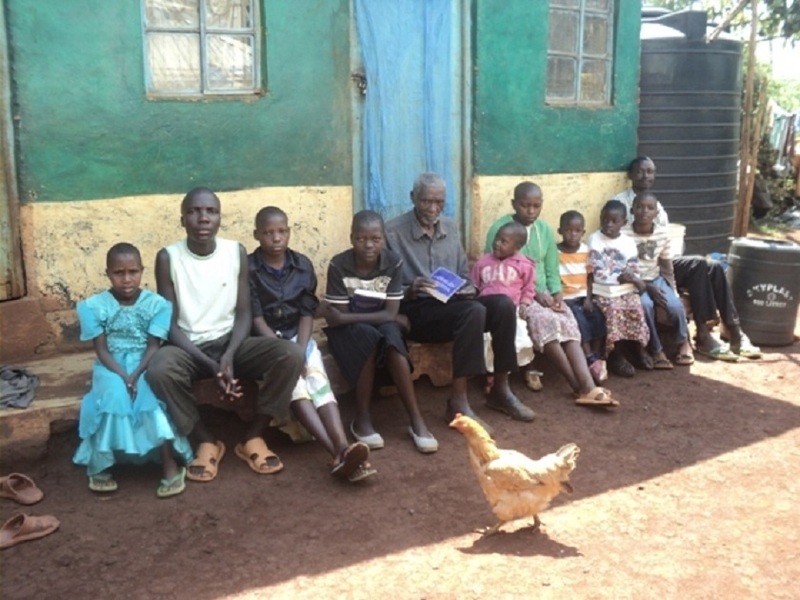 There are more pictures from Kenya for you to view in a separate write up on the main site. We try and share as much information as we possibly can but there are too many letters, pictures and emails that we just cannot share everything. HalleluYah, the new shipment of the special editions of HalleluYah Scriptures has arrived — the new large print, pocket edition (genuine cowhide leather), and PU (faux/fake) purple leather. The PU and pocket editions have silver gliding and purple ribbon. These are so special and well-loved by those who have already received them. So, please get your order in as soon as possible! 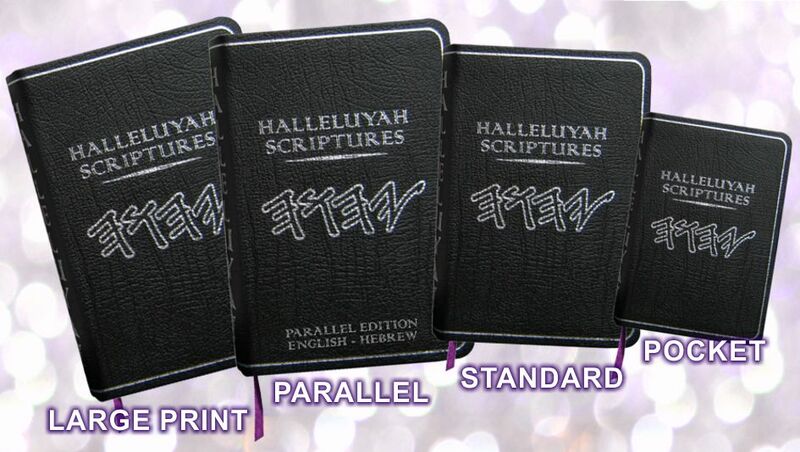 A new shipment arrives end of March and we will be offering the large print and pocket edition in our special PU purple leather as well as a Scriptures (Bible) cover to protect your HS. We offer these special editions at cost but pray that we receive extra donations so we can print more copies to help so many more believers around the world who are in such urgent need. Please consider donating more as these are at cost prices and elsewhere you would be paying 3 times the amount with 3 times the amount in shipping and not helping anyone else but those that profit off His Word. Sometimes we are not aware of final costings on these items offered at cost until they are delievered and sometimes can be out by a small amount either way. Costings do change as shipping and customs charges change when they are delievered. We inform you in our standard email about this and on some of the order forms. If you want to be credited we are more than pleased to do that or offer you a free copy of one of the new books. 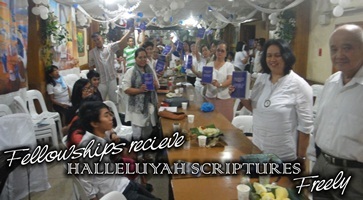 With HalleluYah Scriptures you are helping others receive the best gift they can ever have. We have been asked to offer these by man as they did not want to support those that sell His Word. 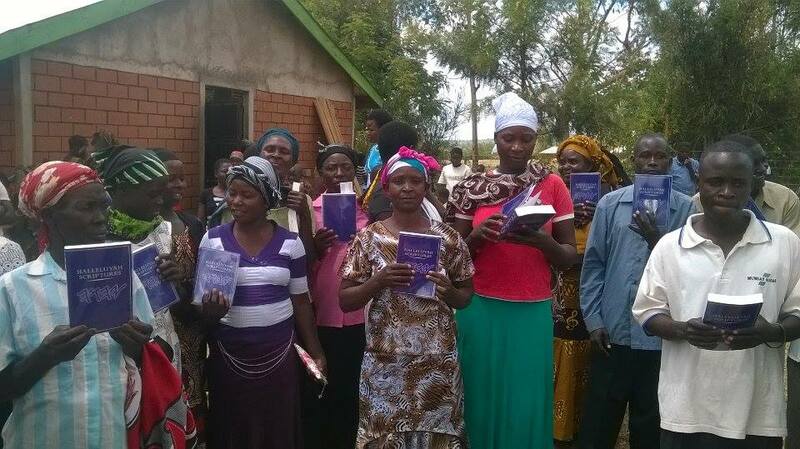 Missions Update: His Word Reaching The World! 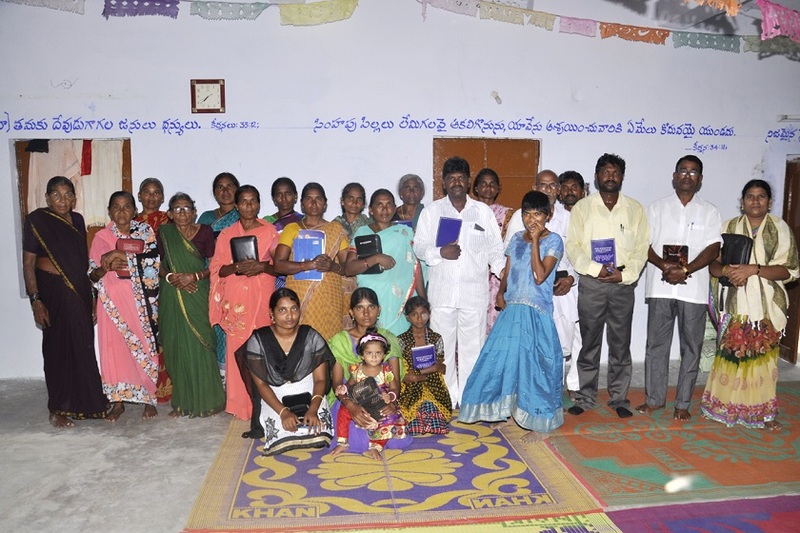 We have dealt with many thousands of people all over the world who have never seen or owned a copy and have no means of affording a Restored Name Scriptures come to receive a copy for the very first time. 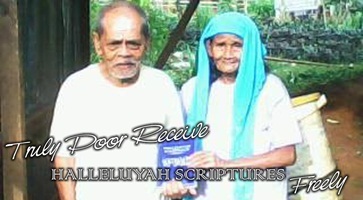 These brother and sisters have been weeping and praying daily some for many years. We have been able to work with a number of fellowships and believers to get our Father’s Word into many countries and it has been the work of many people all over the world. These believers have a wonderful heart in seeing many come to own His love letter that has all the answers and gives such comfort. “to every nation, tribe, language, and people” --- A prophecy in Revelations/Hazon 14:6 that is being fulfilled. 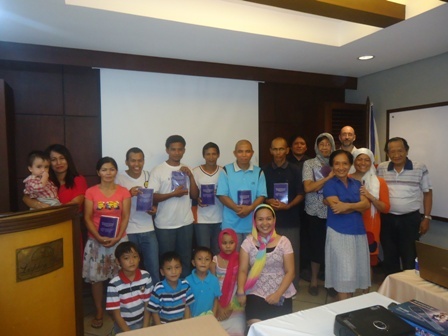 We have a sister in the HalleluYah Scriptures Team who is from the Philippines and is a great asset, a true vessel for His esteem to work through to reach the Filipino people. There have been a number of brothers who have helped going out into villages and places where no one else has ever been. We also have a brother that was actually led by the Ruach to go to Presbyterian college. 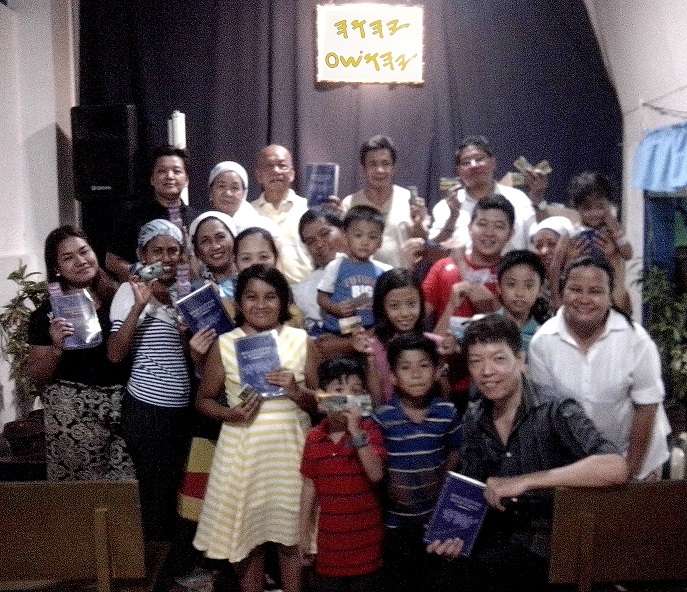 He was asked if he could speak with the Philippine and Korean Pastors and share the true Hebrew Names of the Father and His Son. 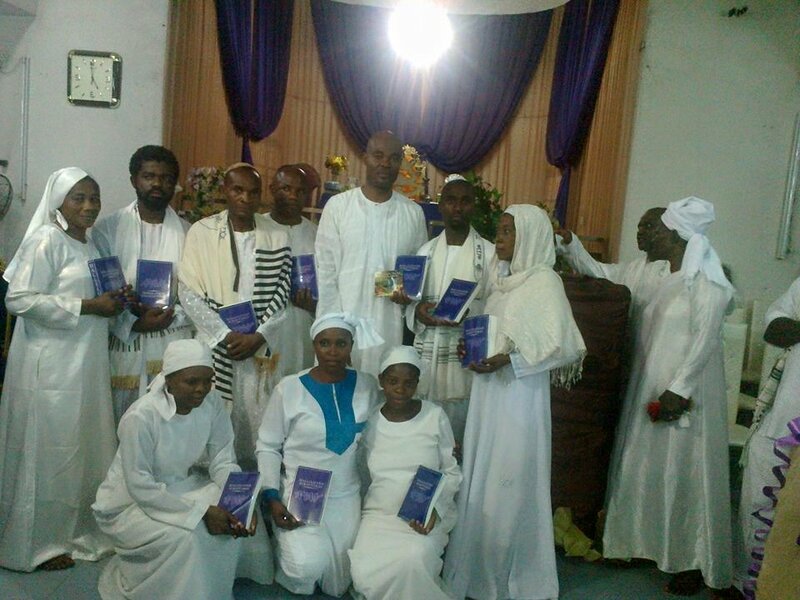 They embraced the true Hebrew Names and were truly barak to receive a copy of the HalleluYah Scriptures. HalleluYah, we have pictures of this wonderful moment of when these Pastors came to His truth. They will be taking copies of the HalleluYah Scriptures back to Korea with them to share with others, truly these are exciting times. 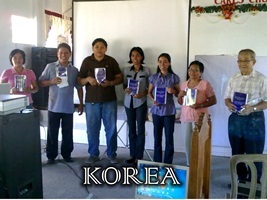 View some of the Pastors and now believers from Korean in this picture. HalleluYah! In the midst of nonreligious society, the arrival of the HalleluYah Scriptures in Europe is such a huge and marvelous blessing from YHWH. 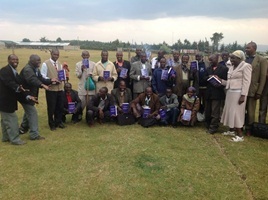 Bit-by-bit, a growing number of brethren in Belgium, France, Norway, Sweden, German, The Netherlands and Finland have come to know about the HalleluYah Scriptures and gratefully received their copies. 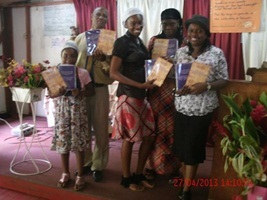 One small congregation in Belgium is blessed to use the HalleluYah Scriptures for Sabbath services. May our Gracious Father YHWH bring more harvest in Europe in His time. If you are a believer living in Europe or know someone who is interested in obtaining copies of the HalleluYah Scriptures, please contact us via the HS website. Know that there is a Postal Agent for Europe. HalleluYah! "Truly we are blessed to have this pure translation, no paganism-christian translation, it's absolute 7 X purified word of YHWH as described in Psalms 12:6 Again my sincerest thanks to you". Are You Traveling Or Know Someone Who Is? If you are going to another country outside of the USA, please let us know so we can get stock to you to take with you as we may have brothers and sisters in need in the country you are visiting. This is such a great help, as one box shipped overseas costs roughly $200 and we would like to be as efficient and prudent with the donations as possible. Please contact us and give us the details at least two weeks prior to your departure so that we can get stock to you in time. Struggling To Read... No More, HalleluYah! 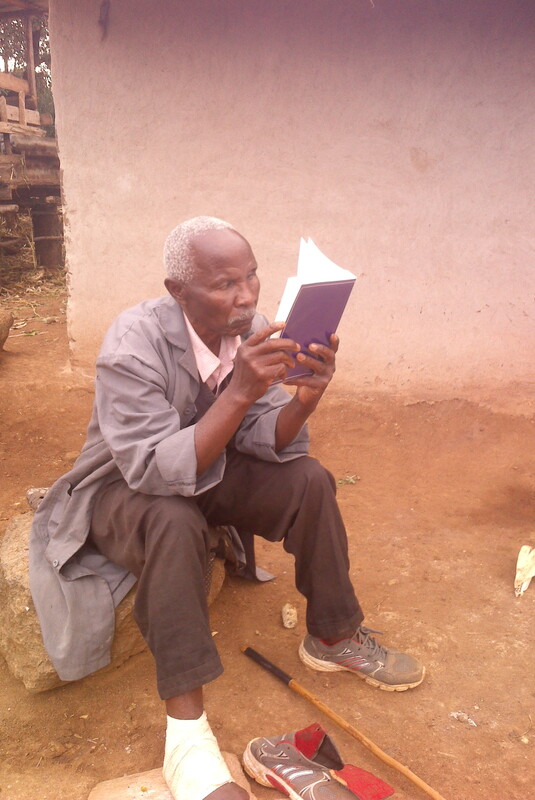 HalleluYah, many have written to us describing how they have such conditions as dyslexia, various handicaps, or a general difficulty with reading. 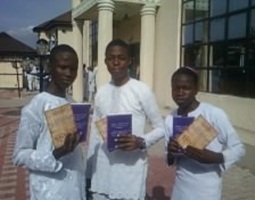 However when they picked up the HalleluYah Scriptures, they can read it very well. They said that they feel it is anointed as they’ve never been able to read without struggling with other versions of the bible, HalleluYah! Understand that it is not just a few, but rather a very large number of believers writing in to tell us this, specifically how they’ve struggled in the past with reading but they struggle no more when reading the HalleluYah Scriptures. They each testified that they pick it up and can read it and read it well! Truly a gift only from the Father and His Ben! Whether it’s YouTube, Blogger, or Face book, one thing is sure: the Father’s children are grateful for His gift and they are sharing it with the world, HalleluYah! 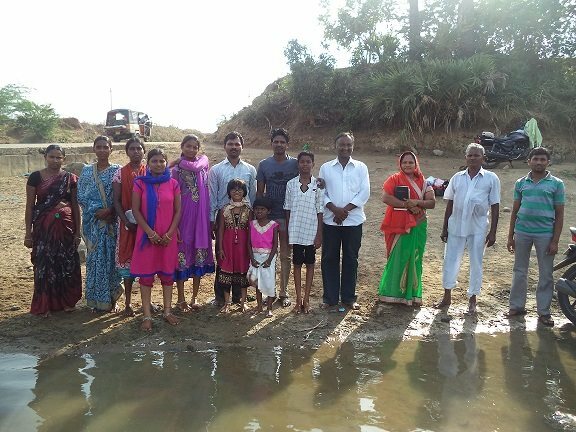 What a joy to read and watch how many of you are sharing your love of this project, how the Father has used the HalleluYah Scriptures to change your life and to bring you closer to Him….All thanks and praise to the Almighty for such grateful hearts! There is hundreds of you now all over the internet and out on the streets sharing this good news. Please continue to share and to send us photos of recipients and your stories as these encourage all of us the team, helpers, supporters and it helps to continue to spread the good news of this history-in-the-making project! 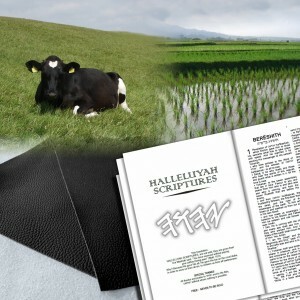 Important Note: No Trees Are Used To Print HalleluYah Scriptures & Humane Cow Skin Only Used. We share this as we feel it is so important. 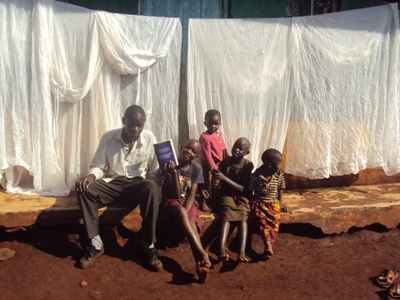 Firstly, no trees are used to print the HalleluYah Scriptures as they are printed on rice paper. Secondly, the leather edition cow skin is from animals that have died of old age (not slaughtered!) and were humanely looked after. We cannot emboss our leather as it is cow skin (clean and humane cow skin only used – guaranteed). Please know any leather Scripture edition that is embossed is from pig skin as that is the only skin that is soft enough to emboss. 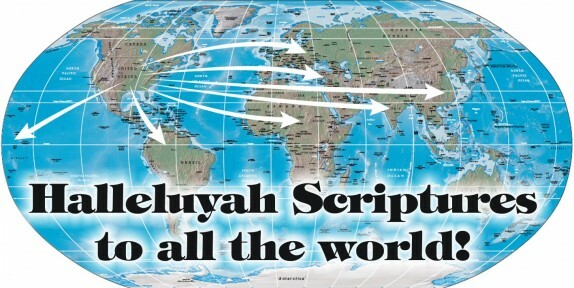 The HalleluYah Scriptures translation team work near daily to bring His people a translation that is the purest and the closest to the Hebrew. Please check out the new video: “Why the HalleluYah Scriptures is the superior version”: http://www.youtube.com/watch?v=LjD5f_rzwUo. There is no other nor has there ever been a translation like the HalleluYah Scriptures, the only translation that has been completed according to His Word & Torah – all praise to the Father. 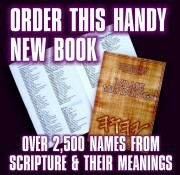 You will learn some special things about the HalleluYah Scriptures version. The HalleluYah Scriptures translation has come a long way since the beginning and this is all praise to the Father and His Son. 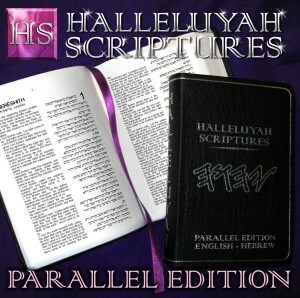 The HalleluYah Scriptures is the ONLY version that bears the True One Authors Name and that is how it is suppose to be. It is time to make a stand and not support anyone that puts a price on the Father's Word. He is the true and only author of His written Word and to lay claim to it and put man's name on it or in it is pure wickedness. James:3vs14-16 See what the Father says about those that promote or use their own name. Never in history has there been a Spanish translation of His Word completed. 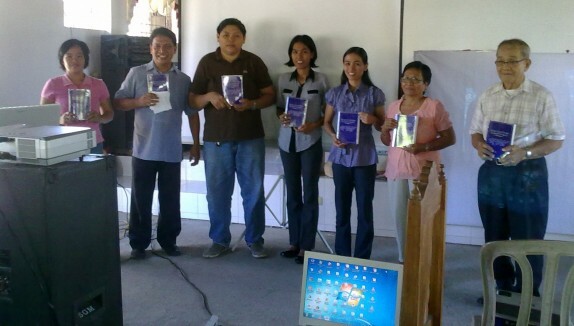 The HalleluYah Scriptures Spanish edition will be the first, HalleluYah. The HalleluYah Scriptures Spanish team has worked tirelessly each day to bring this special and rare translation to the Spanish-speaking people of this world. This is such a blessing because Spanish is the second most-widely spoken languages in the World, next to Chinese (the third being English). There are no greater works in Spanish that this world will ever see as His Word is the most important thing a believer can ever have or own. It has taken over 2 years to nearly complete The Torah, the first 5 books, and the Besorah, the first 4 books of the Renewed Covenant. It takes around 6 hours per chapter to translate into Spanish from the Hebrew. There is no edition on the market and has never been one like it, HalleluYah. Do not be fooled by other versions that have many errors, produced primarily for profit rather than to honor the Father and His people with a pagan-free translation when pertaining to the Father, His Son and His people. No added doctrines, no footnotes, only the pure Word in Spanish with the Father’s Name restored in Paleo Hebrew. Indeed, sadly, all other versions have misled people as they were based from bibles that have errors and each translation that is out there has compounding errors upon errors. These brothers and sisters have given up their lives to see this translated completed for His Spanish people and it has not been an easy road. This is truly a legacy of love for they know His Word is the greatest gift you can ever give His people. They will not compromise on this translation, as doing so would bring dishonor to the Father who sees all things and knows all things. As with the HalleluYah Scriptures translation team, the Spanish team gives all they have as it is important to do the best we can. They study and research near daily to bring a translation that is the purest and closest to the Hebrew than any other version. When the time comes we will be releasing these books so the Spanish believers have something to read and learn from while the other books are being worked on. When the Ruach has anointed such work it will lead many to His truth, HalleluYah. Please support this very important project as we have been inundated with so many orders for the Spanish translation. Bear in mind that there is nearly half a billion Spanish speaking people in the world. Spanish is the second most spoken language in the world. You can donate to help the Spanish people receive this translation, as we have had many orders from Spanish prison ministries, homeless programs and boarder ministries and many Spanish fellowships, groups and individuals. Please pray for this project and if you would like to offer your help with Spanish translation, can you kindly let us know. The more help the Spanish translation team gets, the faster we can release the rest of the books for His people around the world. There is no greater work you can do for the Father and it will be the greatest work you have ever done as there is nothing more important than His Word. So, if you can help with translating the Spanish and are dedicated and willing to give a few hours each week please let us know by filling out the HalleluYah Scriptures contact page. We want to hear from you. HalleluYah! You can order bookmarks with the 10 commandments in Paleo Hebrew in Spanish. These are very special. Order them and share them with the Spanish people you know. We have been asked a number of times to produce a helpful video to explain the pronunciation of some of the words in the glossary of the HalleluYah Scriptures. A brother who is talented in making videos and has a good Hebrew tongue has kindly taken it upon himself to put this video together to help those who are not familiar with Hebrew. It took quite a while to put together and we pray you will benefit from it, enrich your learning and praise the Father for this gift. HalleluYah!!! 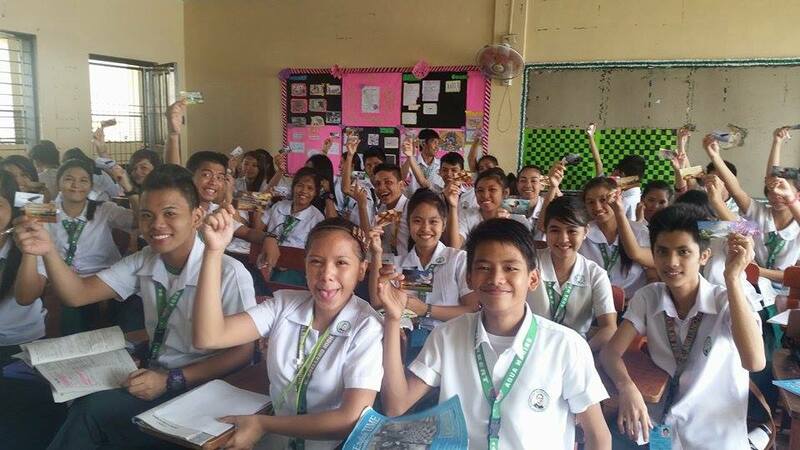 HS Reaching the Four Corners of the World HalleluYah! 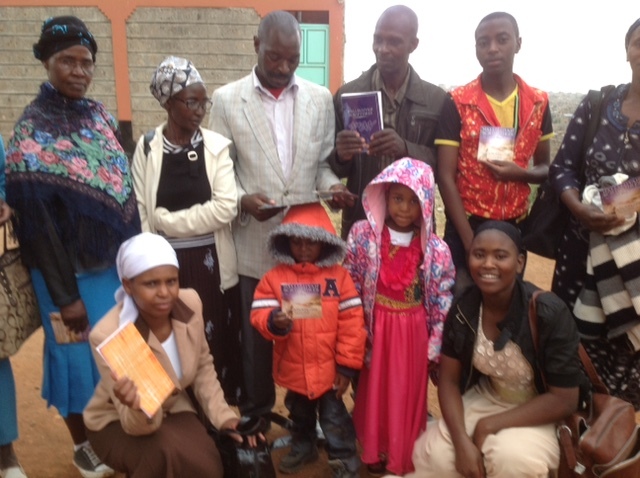 The HalleluYah Scriptures are reaching the four corners of the world! 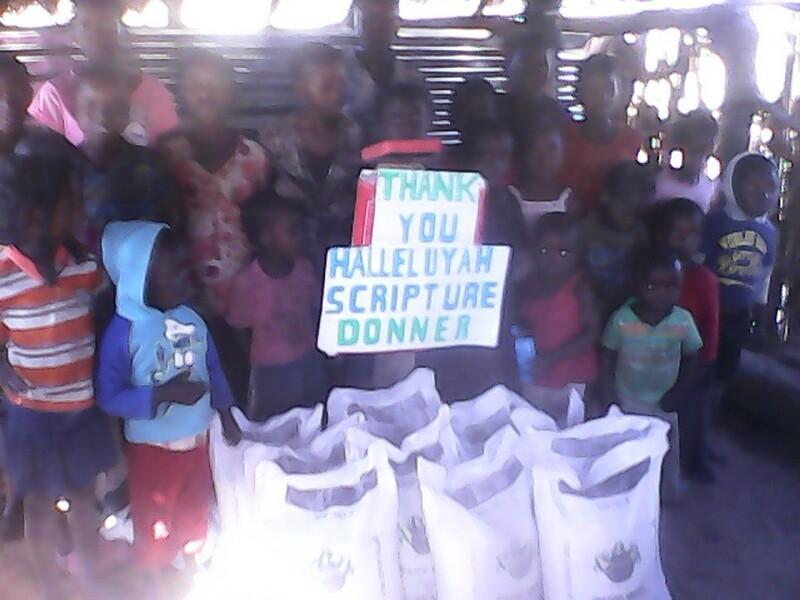 In such a short time the Father has done amazing things for the HalleluYah Scriptures! We have received a tremendous amount of comments describing how believers are so amazed at what has been accomplished in such a short period of time. We ourselves stand in awe and amazement as we witness what He has done, and how He has reached thousands of needy people. Those who have never seen nor owned a copy of His Word and have no means of affording a copy are now receiving His Word for the first time. We are so excited and grateful to those who share this vision to restore His Name rightfully in His Book and to get it into the hands of those who are in need through their continued support in prayer, fasting and donations…HalleluYah for the Father’s trustworthy servants! 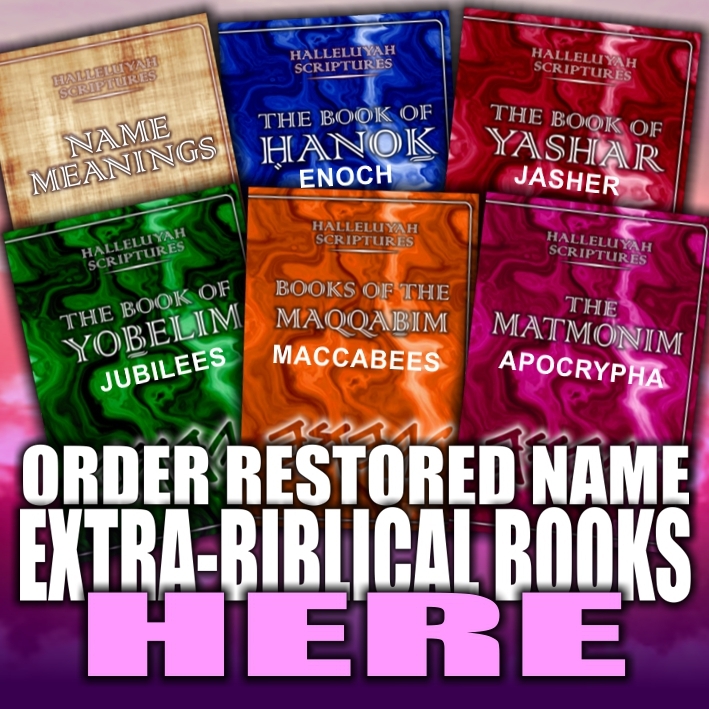 We also stand in awe that within just 2 years, the HalleluYah Scriptures has also produced monumental editions of HS namely : a large print, pocket edition, leather editions, new books, and the audio, which is the greatest work in history in audio form. It truly is a lot of work in such a short period of time. It goes to show that when the anointing of the Father is on a project, it prospers. There are some exciting things planned for this year with this project. 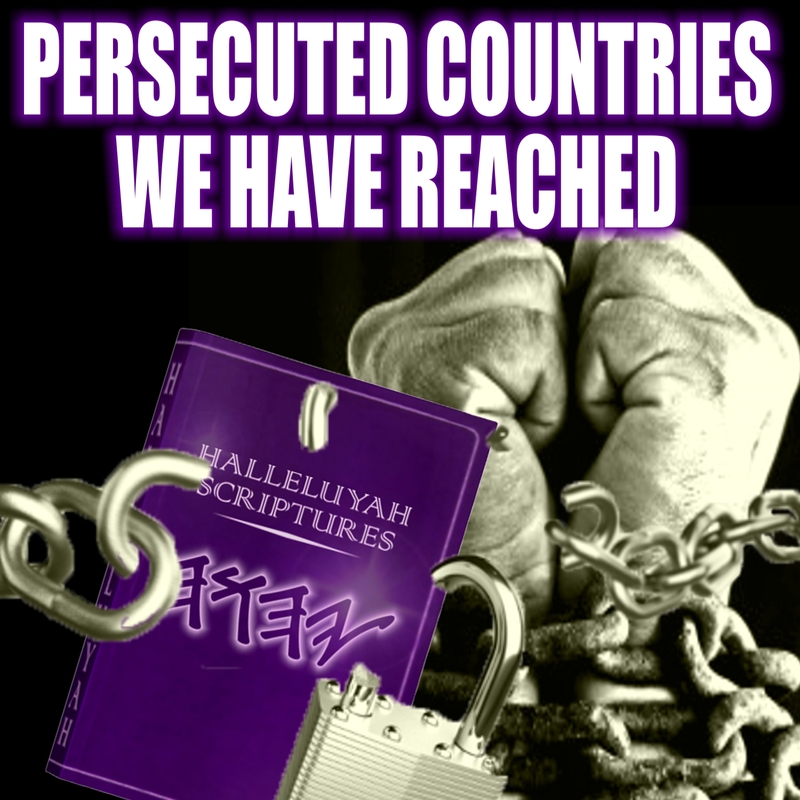 Take a look at some of the places HalleluYah Scriptures are going: Prisoners, Prison Libraries, Homeless, Russia, Japan Nepal, Ghana, USA, United Kingdom, Australia, New Zealand, Pacific Islands, India, Malaysia, Indonesia, Canada, China, Belgium, Germany, Netherlands, Switzerland, Africa, Czech Republic, France, Norway, Finland, Sweden, Indonesia,Thailand, Jamaica is now getting a large amount of stock and Philippines, Egypt, Dubai, Yisrael are receiving larger shipments plus so many other countries are receiving the Fathers Word, HalleluYah! HalleluYah for such a time as this! His Word is going forth around the globe! 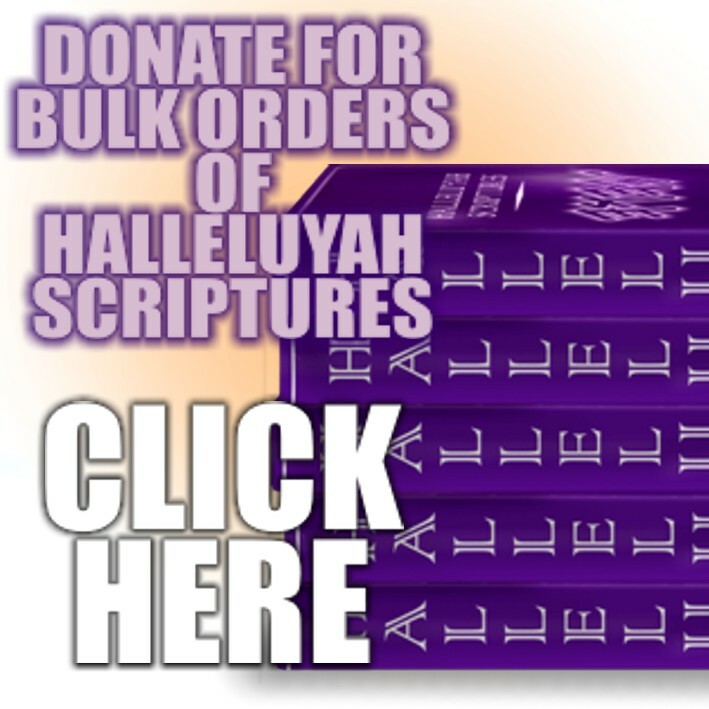 Please know, copies of these limited HalleluYah Scriptures are going to those who are in desperate need and who truly have no way of donating and also to those who donate as they seek to help others as well as themselves. 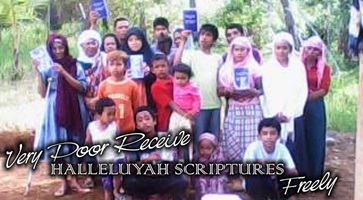 As you can see, the copies of HalleluYah Scriptures are going not only to those in the USA who are in need, but there are 50 other countries with a multitude of believers in need as well whom we receive hundreds of requests from, truly from all over the world. While it is very exciting, it is also heartbreaking at times. We earnestly pray and seek discernment in regard to these requests and how best to distribute responsibly. 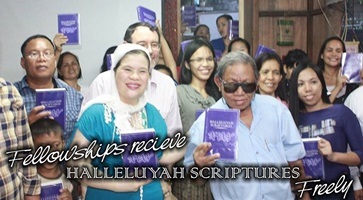 HalleluYah Scriptures project supports a number of fellowships worldwide…It is wonderful to see the growth and the propagation of the HalleluYah Scriptures. Currently fellowships in Malaysia,, Thialand, Indonesia, Egypt and a good number of other countries has grown from just a couple to a group, HalleluYah! May His Word continues to reach His many other children! Please take a moment and read on the website for some of the many comments we received to praise the Father for the gift of His Word, the HalleluYah Scriptures. USA & United Kingdom: We have 2 Postal Agents in the UK and our Father is able to reach many of His people for His esteem. 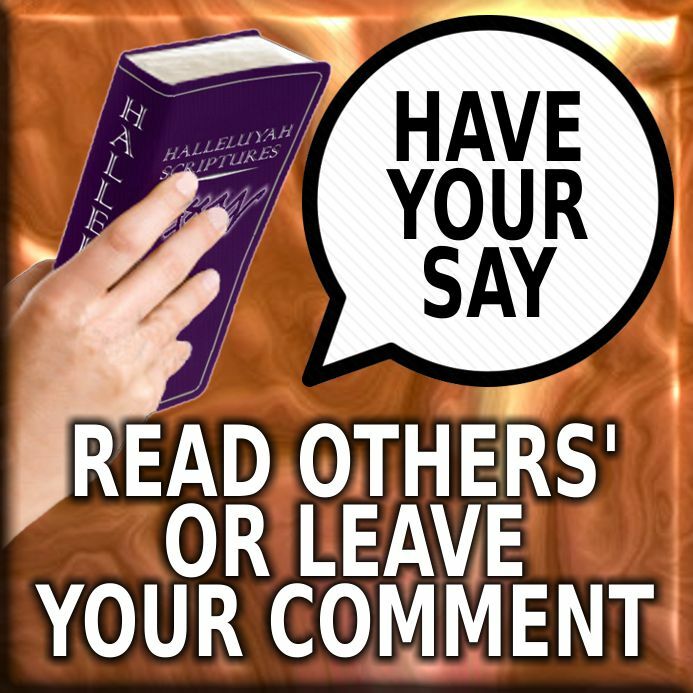 Since the Father sent them we have noticed a large number of people in UK coming forward at an alarming rate and wanting a copy of the HalleluYah Scriptures. We now have quite a lot of orders going out in the UK. HalleluYah. One of the Postal Agents is contacting all the Prisons in England and Wales, and informed the Chaplains about the HalleluYah Scriptures Project and has started to donate a HalleluYah Scriptures to the Prison Library. 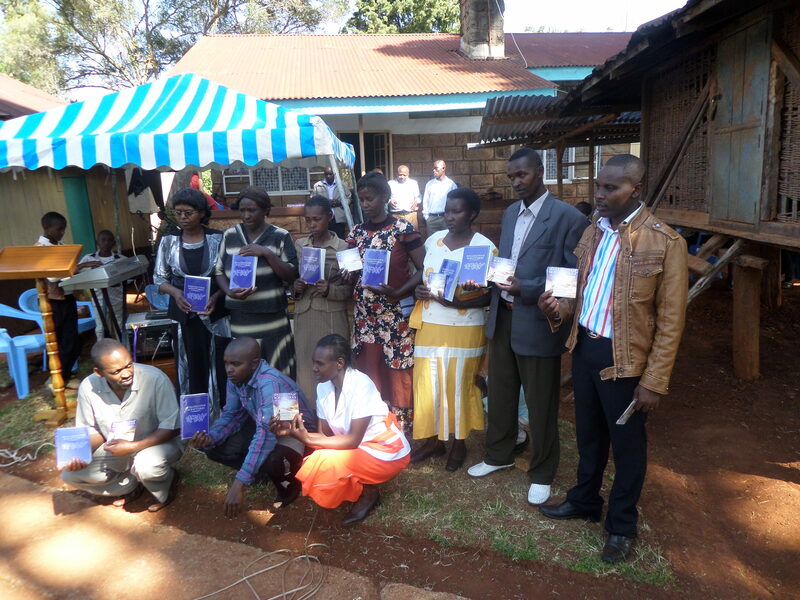 One donated copy is being sent to each Prison Library when permission is granted. Praise be to our Father for making a way for this to happen for HIS Esteem in the United Kingdom. The USA postal agent has been so busy that we have been led by the Ruach to put a number of Postal Agents in place with one main bulk agent who will be dealing with the bulk orders. We have 3 postal agents now and am looking at adding a 4th. This way we will be able to get more orders out faster. A team member heads this side of the project in the USA and is very excited. We are getting busier each day and the Missions team is working hard to track down believers in countries that have never seen or owned a copy of His Word. 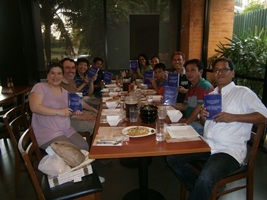 A good number of countries have been covered and many are rejoicing over their everlasting gift. HalleluYah. 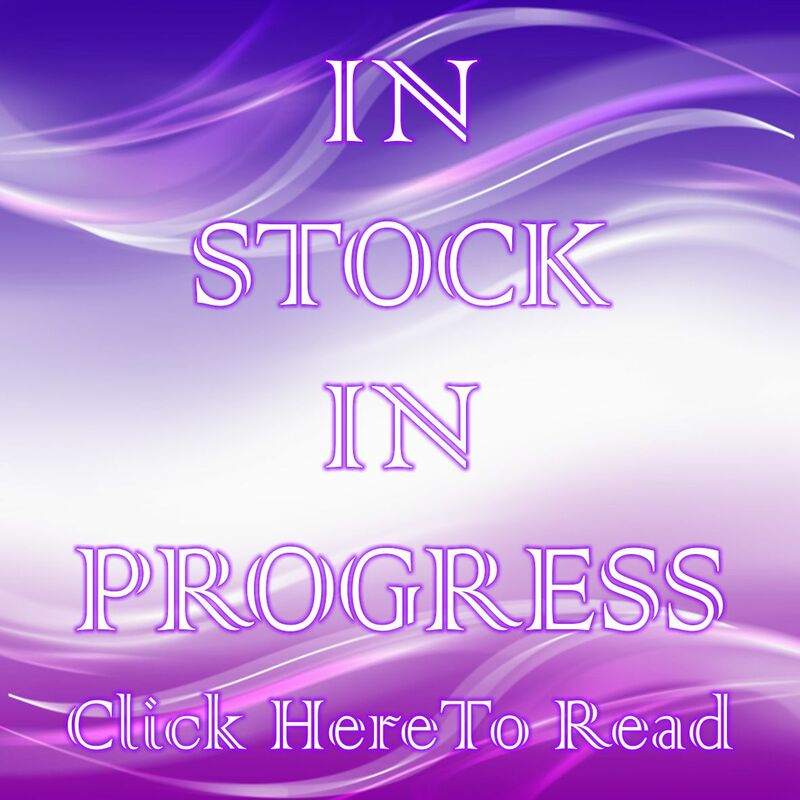 AUSTRALIA AND NEW ZEALAND Australia and New Zealand is now starting to receive a good number of orders which has been increasing over the last two years since we have a Postal Agent in these countries. Different Islands are also been reached and we are able to get copies through these countries to others surrounding Islands and countries. 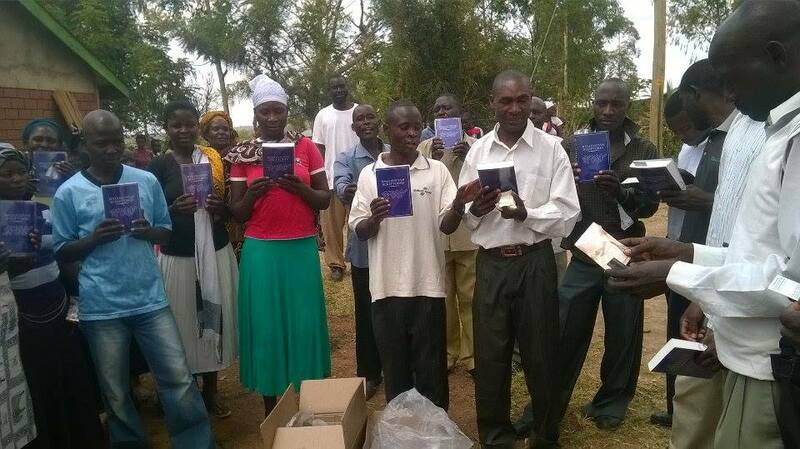 It is truly exciting times when you see so many who are without His Word the HalleluYah Scriptures receive copies. HalleluYah! 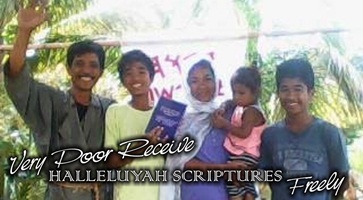 About a month before Sukkot we were able to distribute near 2,000 copies of the HalleluYah Scriptures for FREE for brothers and sisters to share at Sukkot to those that have never seen or owned a copy of a Restored Name Scriptures or are new to the belief. We are praising the Father and His Ben for the testimonies of the people who have been barak to receive the HalleluYah Scriptures. 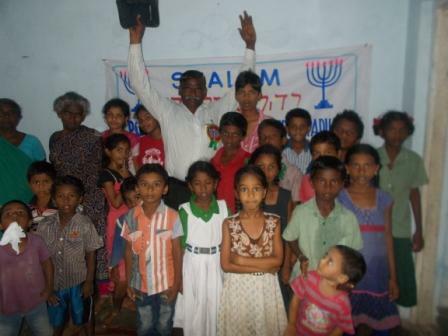 Most of these went to the USA for Sukkoth. .HalleluYah! "For where two or three are gathered together in My Name, there I am in their midst." — Matthew/Mattithyahu 18:20 How about 80 plus!? HalleluYah! 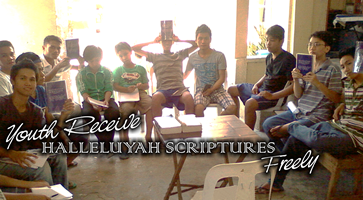 The HalleluYah Scriptures daily prayer team keeps growing and growing. It is a huge blessing to have so many who love YHWH, His Son and His Torah, and who pray continually for the HalleluYah Scriptures Projects and for each other, and fast as well. Truly, the Ruach touches the hearts of His People. We have seen the Father's hands protect His people from storms, heal their diseases, and deliver His children from the enemy's attacks, as we have prayed for all of these. The Father is ever-good and ever-faithful!! 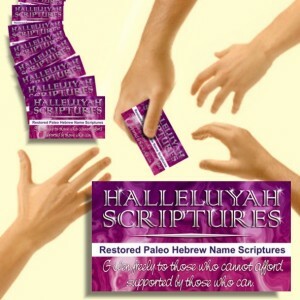 The HalleluYah Scriptures project has every day of the week covered in fasting and prayer, as directed by the Ruach. With prayers and fasting, the project is reaching even more around the world and now with the audio getting closer to completion ( the first 5 books). The enemy is not pleased, rather furious and fired up as he knows the Father's Name and His Son's Name will soon be known all over the world and in every country, town and city. So, please continue to pray and even fast for this project. Prayer is more precious than gold. HalleluYah, thank you to all whom join us in supporting this end-time endeavor of reaching all the world with the Father’s Truth. 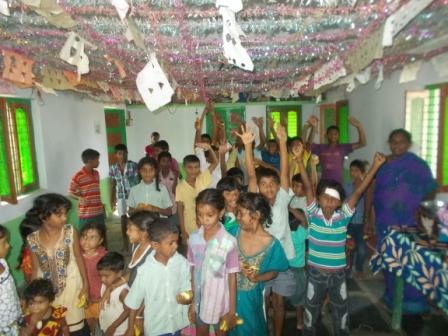 A very special thank you to our supporters who fast each week for this project. Truly without your prayers and fasting we would not have gotten this far so fast. We have been so touched by your willingness to give up your time each week to fast and pray daily. The Father has seen what you do each week and we know your reward is with Him. Your prayers are worth more than all the gold in the world and we cannot buy prayer. So a very deep heartfelt thanks from us all. Be assured we fast and pray daily for you and your family. "And you will be my witnesses" said Yahushua. "For everyone who calls on the Name of YHWH shall be saved. How then shall they call on Him in whom they have not believed? And how shall they believe in Him of whom they have not heard? And how shall they hear without one proclaiming? And how shall they proclaim if they are not sent?" "It is really strange that revival is very common inside of the walls in prisons...but if you've lost everything the world has to offer...where else can you find peace?" We receive letters from those who have actually confessed the reason for being in prison and from those whose hearts have been deeply convicted and they desire to be immersed into the true Names YHWH and Yahushua ha'Mashiach, HalleluYah. There are prisoners who are telling us they have even been trying to witness from prison to their family members about Elohim's true Name YHWH and Yahushua. One prisoner, raised in a Jewish home said he was "really impressed with the paleo Hebrew." The Father's hand is moving!! One brother is even on death row and has come to believe and has a passion for His Word. Please keep him in your daily prayers. He sent his savings as a donation and we sent it back to him but he returned it back and wanted the project to have it. He would have worked his whole like in prison for that donation. Hallelu Yah! 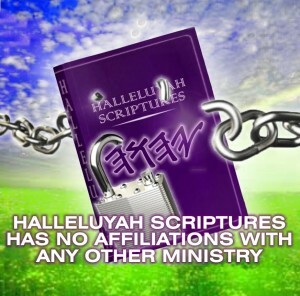 If you know of any prisoners who would be interested in receiving a copy of the HalleluYah Scriptures, please have them write to HalleluYah Scriptures and share their life story. 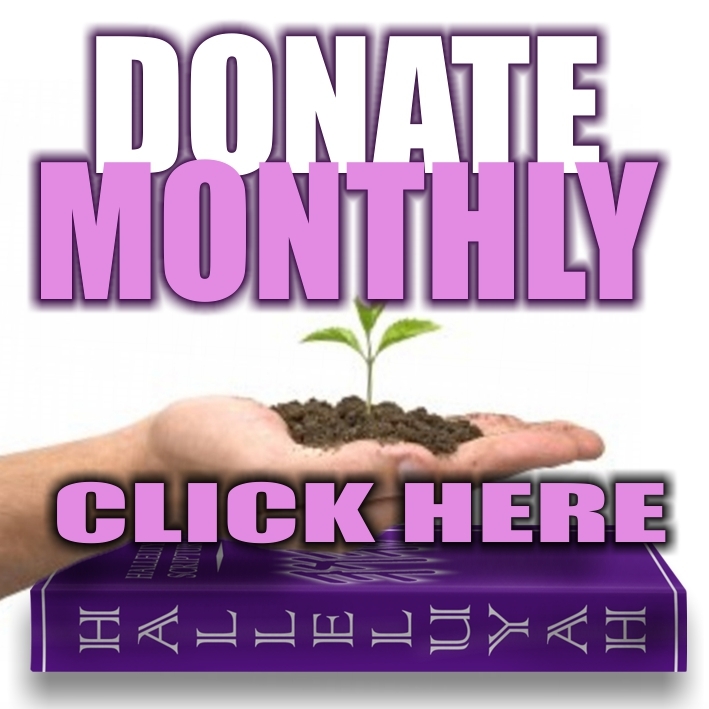 YOUR CONTINUED SUPPORT…THANK YOU, HALLELUYAH! 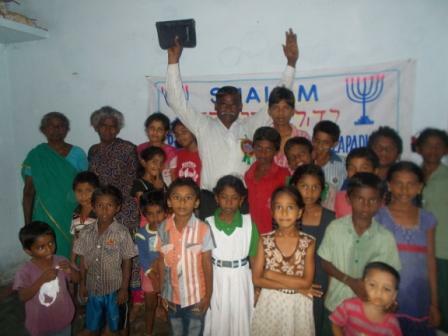 We are striving towards a 20,000 print run as the need is so great all over the world now that we are reaching brothers and sisters all over Africa, Philippines and are looking to reach even more brothers and sisters in India, Russia, Middle East and a good number of other countries. Please help us to reach those in these countries. 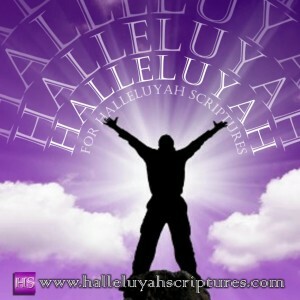 Indeed, let us praise His Name and His Son’s Name for His Word that is reaching the 4 corners of the world, HalleluYah! There is nothing more important or more urgent than His Word in this dark world. 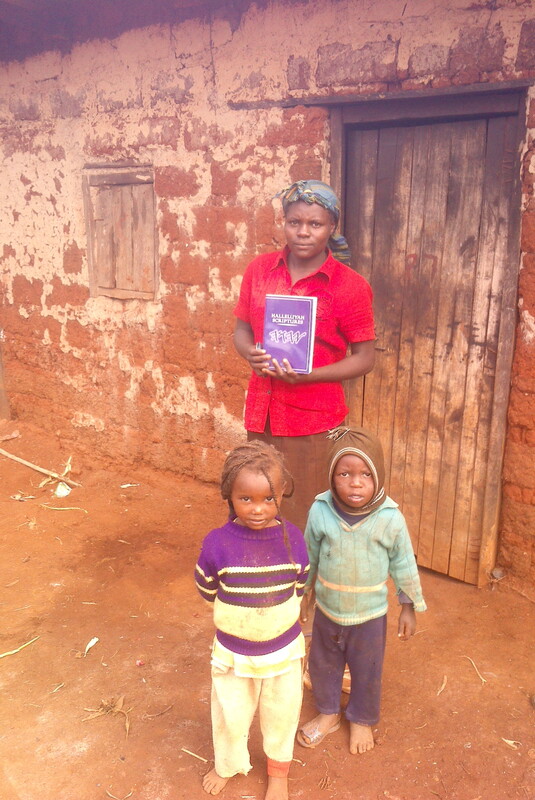 The primary goal of HalleluYah Scriptures project has always been to see those who have never seen or owned a copy and have no means of affording a copy to receive one. For that we will always be attacked and hated just as the Scriptures foretold. The enemy hates the Father’s Word and will try anything and use anybody he can to stop those in desperate need to receive a copy. The HalleluYah Scriptures project is very simple to understand and truly why would you not want to support such an important project that gets His Word to His people. The is nothing more important or more urgent. Nothing compares to His Word and giving such a gift is so special and rewarding. To have given His love letter to another believer who is without is a great investment. You will be rewarded by the Father. It is hard for many of us in the western world to understand what it is like not to have His Word, although we can tell you first hand that there are thousands that do not have the privilege. This is changing because His people who love Him and His Word are making sure that those in need receive copies --- this is the heart of the Father and His Torah and why would we not want to help if it is in our power to do so? It is the greatest gift you could ever give to anyone and we know first hand that they praise His Name for your gift daily. 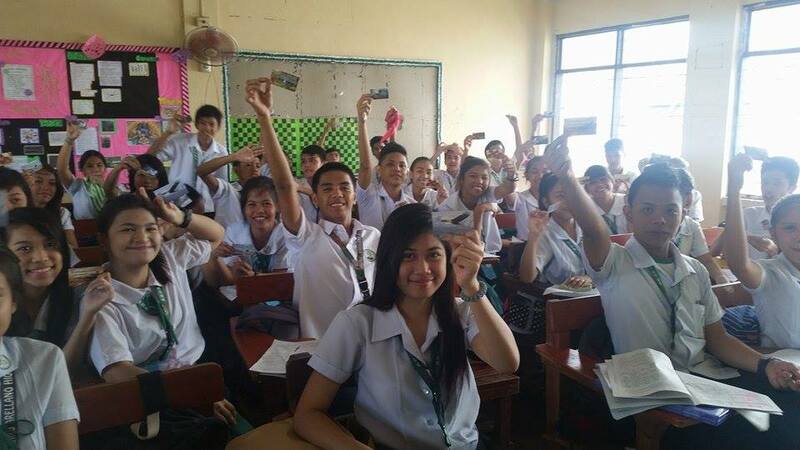 Just look at some of the faces. HalleluYah. We want to say a special thank you to those who have a heart after those in need of His Word and who have supported this project with whatever means they are able to give. You will be rewarded by the Father. Those who receive your gift of His Word, the HalleluYah Scriptures, are praising the Father daily for you and your family. Again, we invite you to read some of the comments on the website from those who have received this berakah under “Where are they going”. You will be touched by each comment, as we have. It is completely unnecessary to sell His Word and to do so breaks His Torah/Laws and ultimately shows a complete lack of trust in the Father and believing He will provide through His people. 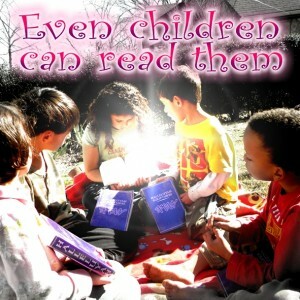 We at HalleluYah Scriptures choose to trust in YHWH and have seen first-hand that He provides abundantly. We just have to make that big leap of faith to TRUST in His provision! Anyone who sells His Word does not have a heart after the Father or His people but only after profits and lifestyles. We here at HalleluYah Scriptures choose to trust in YHWH, for He is an awesome provider. YHWH Yireh! Nobody on this project benefits in anyway personally. Like you, we are all supporters, in time, prayer, fasting and donations. We all have one goal and aim and that is reaching the world with His Word…and this is being done! 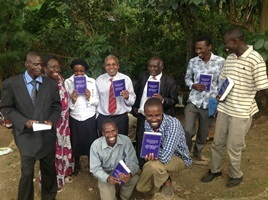 HalleluYah, we are now on the 6th print run and larger shipments of the HalleluYah Scriptures have gone out to many countries and believer and we are working on 2 very large shipments to Africa ( 2 very large shipments left to Africa)HalleluYah, what a wonderful Creator we all serve! 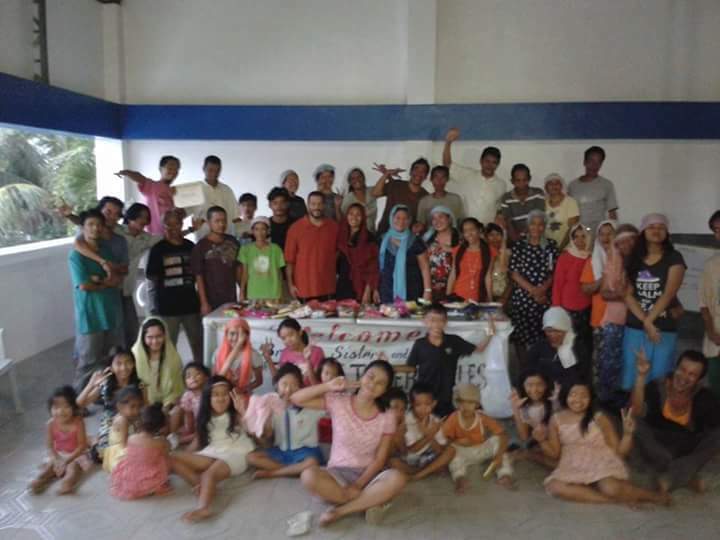 Again, we thank each of you, our supporters, helpers and team members for all of your continued support through the donation of your time, prayer, fasting, finances and resources. HalleluYah for such faithfulness to this mighty endeavor! Let us all praise His Name for He has done an amazing thing with His Word! HalleluYah for HalleluYah Scriptures!